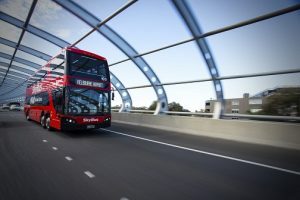 SkyBus, operator of Australasia’s premier airport transfer service, has announced its arrival on leading travel commerce platform, Travelport, joining the likes of the highly popular Heathrow Express among others. and convenient thanks to our free Wi-Fi on board, ample luggage rack and strategic drop offs,” said Mr Sewards. As part of the ongoing partnership, SkyBus and Travelport look to integrate additional routes, including Southbank Docklands Airport Express, Avalon City Express and St Kilda Express into the Travelport’s Airport Express App. A two-time RACV Victorian Tourism Awards Gold prize winner, and the recipient of the 2017 and 2016 Trip Advisor Certificate of Excellence, SkyBus has a proven track record as a world class airport mass transit specialist thanks to its successful services throughout Melbourne, Victoria and Auckland, New Zealand and high customer satisfactions. SkyBus launched its new Gold Coast service in December, marking its first move into Queensland.